In the course of the lot survey the property corners will be found, if they have been disturbed they will be reset and marked with an iron pin and plastic cap bearing the surveyors registration number. 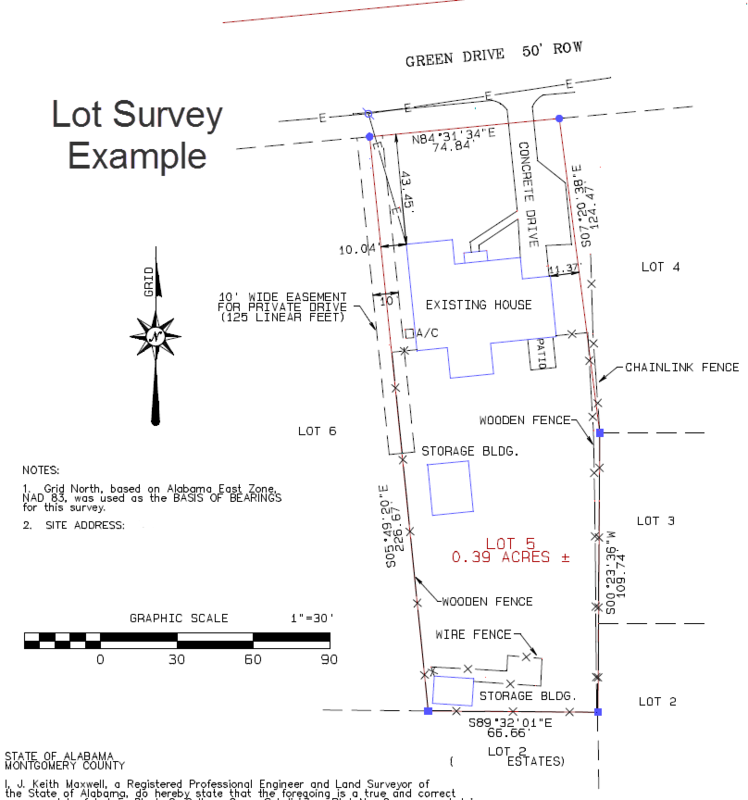 If corners are not visible from one another, the land surveyor may place stakes on line between them if the owner asks for the lines to be marked. On completion of the survey, all corners should be marked with a “witness” stake so they can easily be found for the short term. You should be aware though that the actual corner is the metal pin in the ground. Any encroachments and easements will be shown by the surveyor on the survey plat which is a drawing depicting the work done. If requested the home and other improvements will be located and shown on the plat as well. This legal description gives all of the required elements for anyone in the future to be able to relocate this parcel of land. The subdivision map is typically recorded in the County Probate Office in a Plat Book or Map Book. Anyone has access to review this map and get a copy of it. 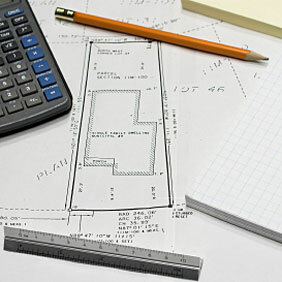 If you have additional questions about your survey or would like to have a lot survey or closing survey performed, please give our land surveyor a call at ​Hideaway Land Surveying at (903) 525-6405 or better yet, fill out a contact form request.